Check out the latest Hollywood happenings! Backstreet Boys member Howie Dorough and his wife Leigh are expecting baby #2, another son. The couple already share a son, James, 3. Hawaii Five-0 star Alex O’Loughlin and his girlfriend Malia Jones are expecting their first child together. They both have sons from previous relationships. Alex is dad to Saxon and Malia is mom to son Spike. After just a few months of dating, Katy Perry and John Mayer have reportedly called it quits. According to insiders, John broke things off with Katy and she’s taking it pretty hard. 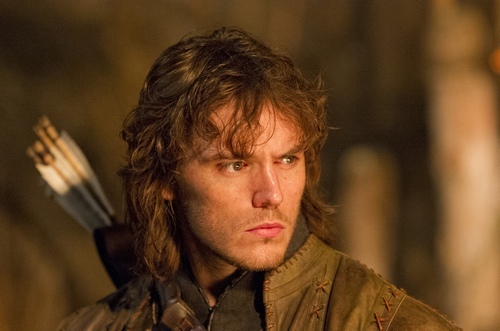 Actor Sam Claflin (Pirates of the Caribbean: On Stranger Tides, Snow White and the Huntsman) has landed the role of Finnick Odair in the Hunger Games movie sequel, Catching Fire. Labor Day Hostess Gift IdeasNew American Idol Judge Rumors Keep Flying!